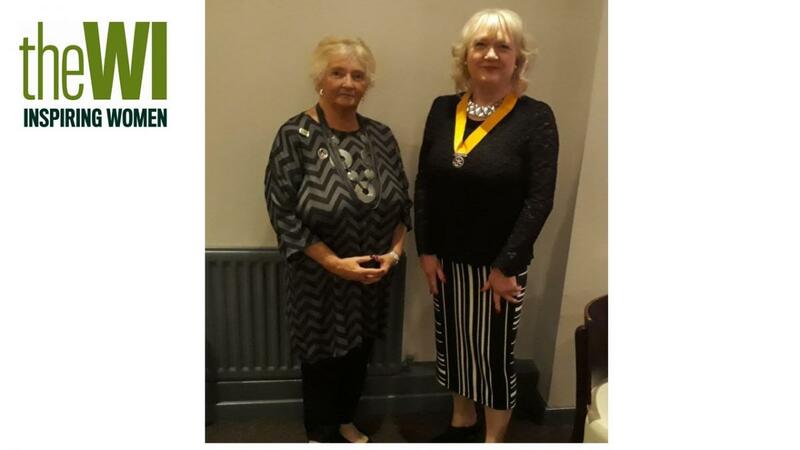 Lyn Swift, pictured with Senior Vice-President, Jean Thompson, came along to our meeting on Tuesday evening to tell Rotarians about her journey with the W.I. and how persuasion from friend, Sheila MacMillan, and an advert in the Newton News led to Lyn attending a gathering convened to form a W.I. in Newton Aycliffe. She left the meeting as their first president! That was in the year 2000 and on 1st May 2014, Lyn was elected as Federation Chair, a post which lasted three years during which she and other members enjoyed visits to the Albert Hall, a Royal Garden Party and celebrations on Empire Day. A proud day for her, was receiving the Durham County Council Chairman’s Medal from then chairman, John Robinson. Lyn is a worthy recipient and the joy she gets from attending W.I. events and meetings was obvious to all our members.